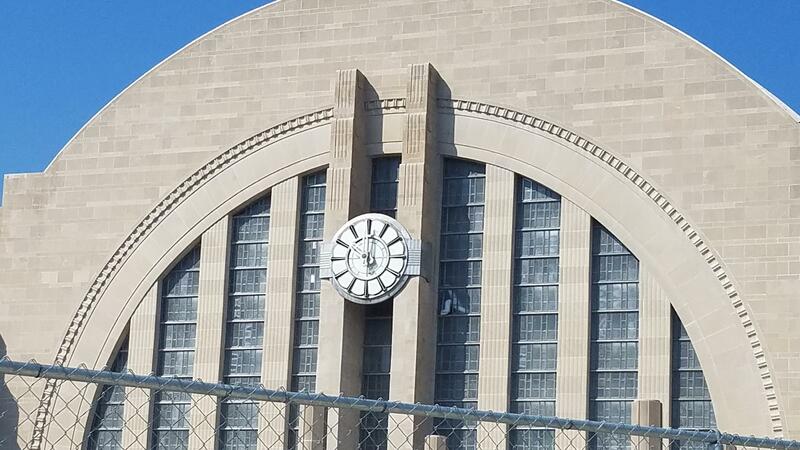 The hands of the Union Terminal clock were installed Thursday morning. The Union Terminal clock room is a tiny space the height of the clock face and not quite as wide as the wingspan of an average adult. This is what it looks like without the clock. Beyond the narrow entryway sits a steep staircase to a tiny room, not much larger than a broom closet, but with a tall ceiling. 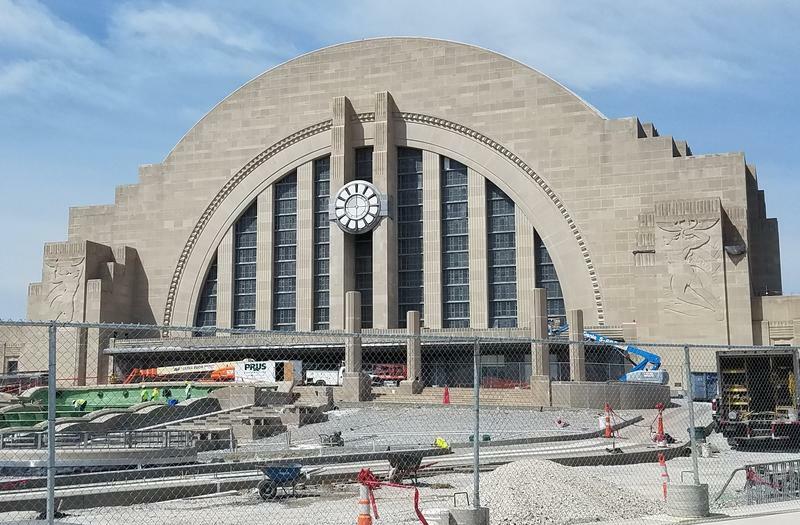 This is the space behind the Art Deco clock face that has graced the front of Union Terminal since the 1930s. The room is suspended between the building's center pillars, jutting out from the glass windows. 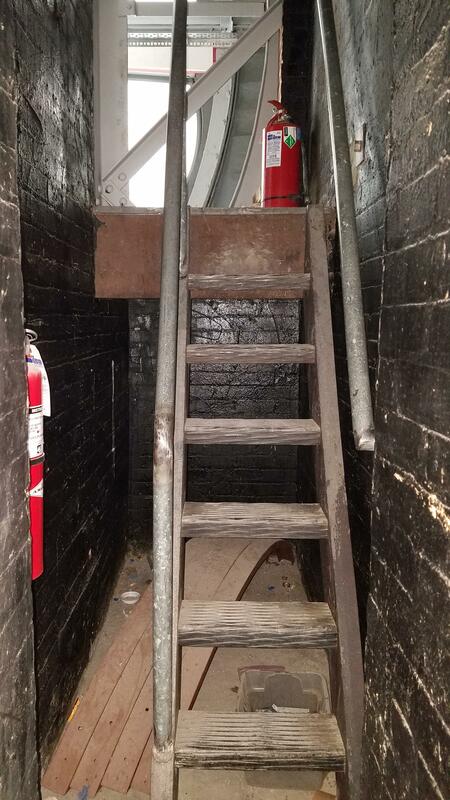 Workers must traverse this tiny staircase behind Door Number S-404 while carrying the clock pieces, some weighing hundreds of pounds. The clock, weighing hundreds of pounds, was removed for cleaning and repairs on a steaming hot day in August 2017. 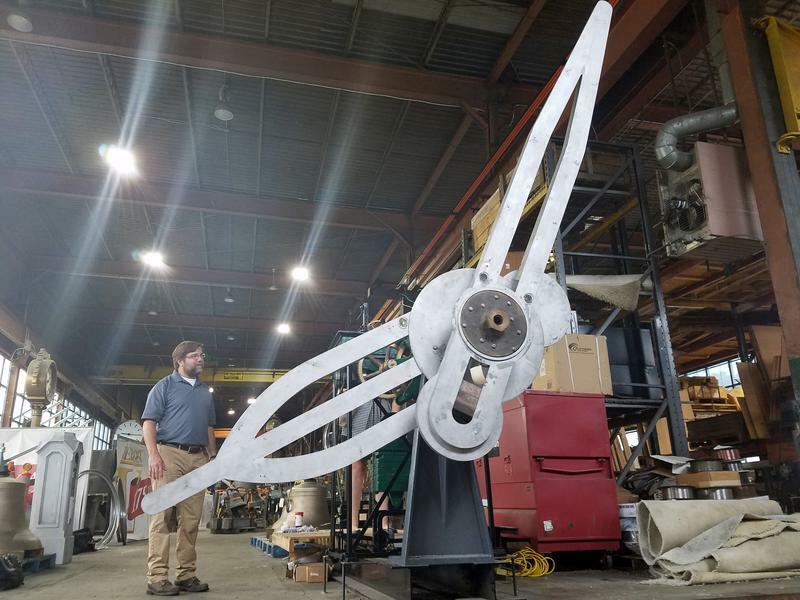 "Just getting it down out of the clock room, I completely destroyed a chain fall because it was so heavy," says Field Service Technician Adam Graves with The Verdin Company. "We had about six guys ... and it took everything we could do to get it down the steps and over to the elevator. It was an all-day process." 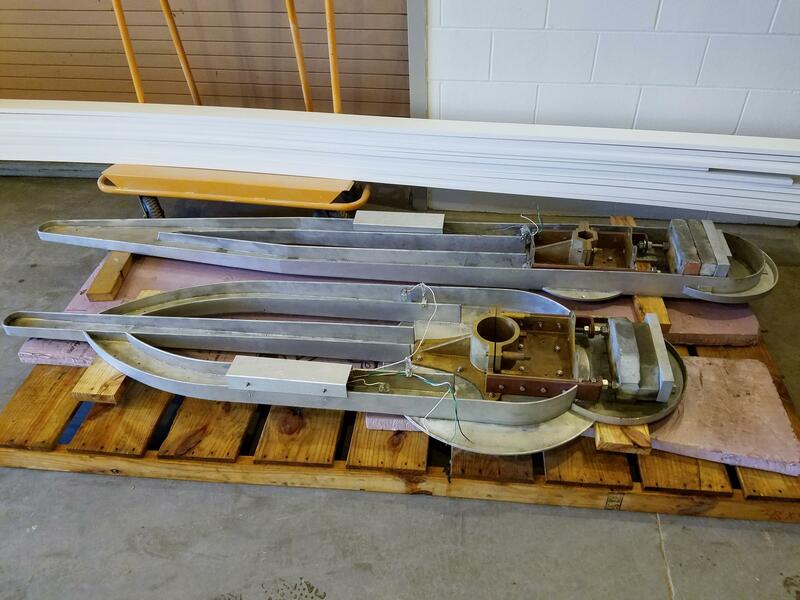 The clock arrived back to Union Terminal in pieces. 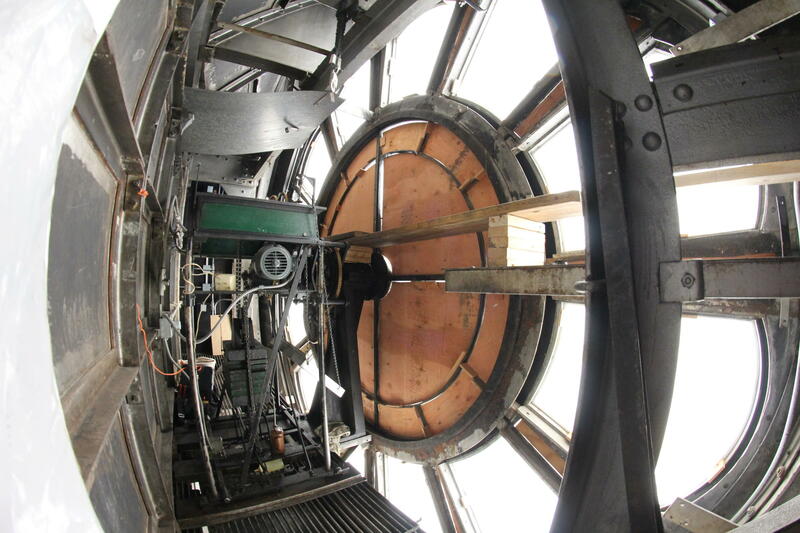 The clock pedestal (bottom left) and gear shaft (top left) combine for around 800 pounds, all of which is hand-carried up several flights of stairs. 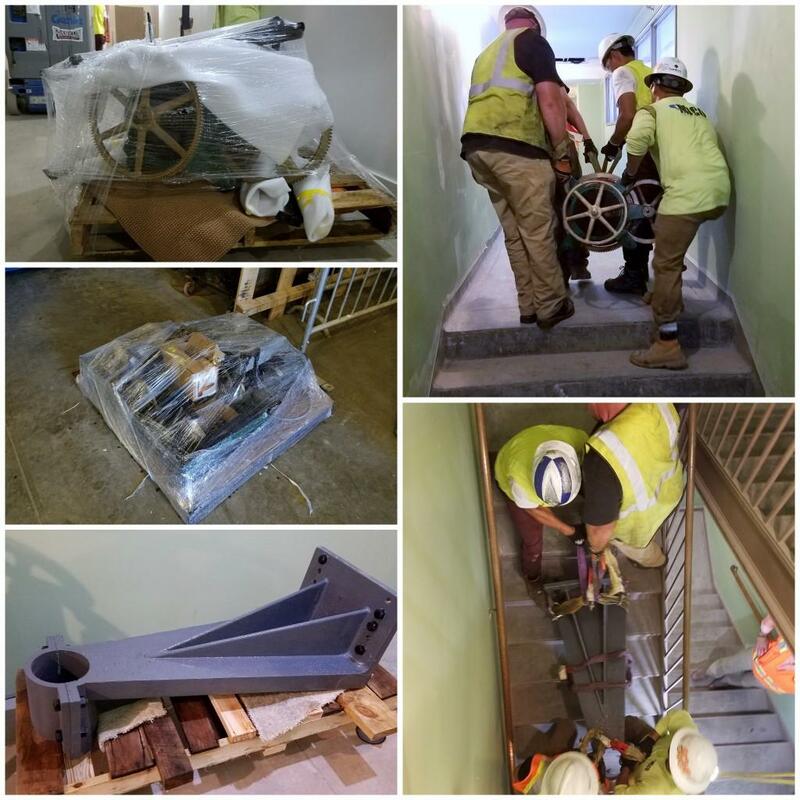 Verdin's Adam Graves and Jeff Mann, with contractors Omar Montalvo and Wilmer Colindres, do the heavy lifting. The process is being repeated in reverse as the clock makes it return. 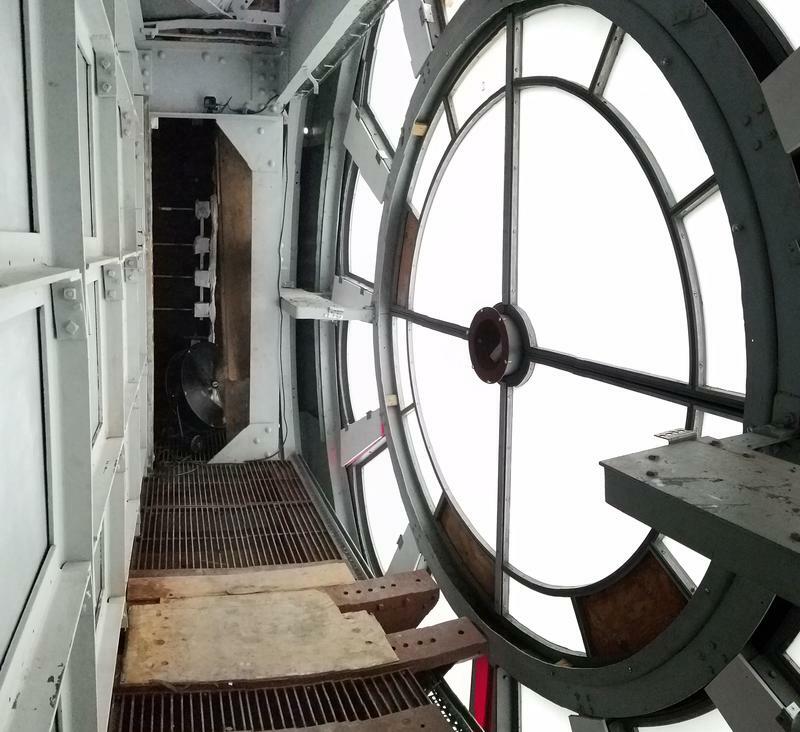 In order to reach the clock room, it was first disassembled, transported via elevator to the third floor, then carried up a set of double steps to the fourth floor. The pedestal itself weighs "400 to 500 pounds," Graves says. "Just about enough to break your back." Wood protects the glass flooring along the narrow catwalk leading to the clock room. 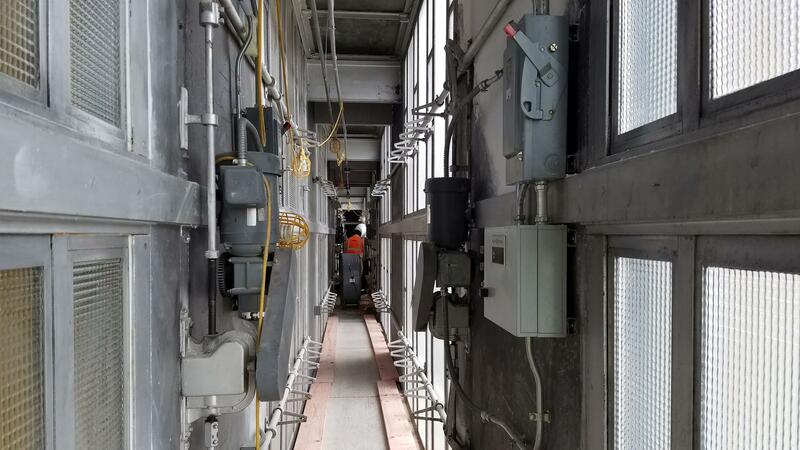 It and the rest of the pieces, including the several hundred pound gear shaft, must then traverse the narrow glass-bottomed catwalk between the interior and exterior rotunda windows to S-404. "The size of it, the weight and just maneuvering it ... those are our biggest difficulties," says Graves. "Once we get it set in place, everything's mechanical, everything's gear driven. (There's) very little electrical stuff in it so it's very easy for us to put it together. It's like a big erector set." The gear mechanism will pass through this hole - less than a foot in diameter - in the center of the clock face to support and operate the hands. Why does the pedestal need to be so big and heavy? "(It's) the size of the hands," Graves says. "The hands are pretty massive and heavy ... The time period that it's from, everything was big and massive in that time period as far as clocks, so it was the standard for the time period." The clock hands will be the last part of the installation, along with the red neon lining. The hour hand weighs 150 pounds and the minute hand weighs 175. The clock hands were affixed from the exterior using a lift on Thursday. Graves moved to Cincinnati about three years ago and calls himself a "history buff." He requested to work on the Union Terminal restoration. "A lot of guys get more into the mechanical and structural stuff, but the fact of the matter is they're using the exact same timepiece that originally was in here -- that's amazing. The fact that Cincinnati and Union Terminal want to keep it historically accurate, for me, is a big plus, that's why I asked to be here." 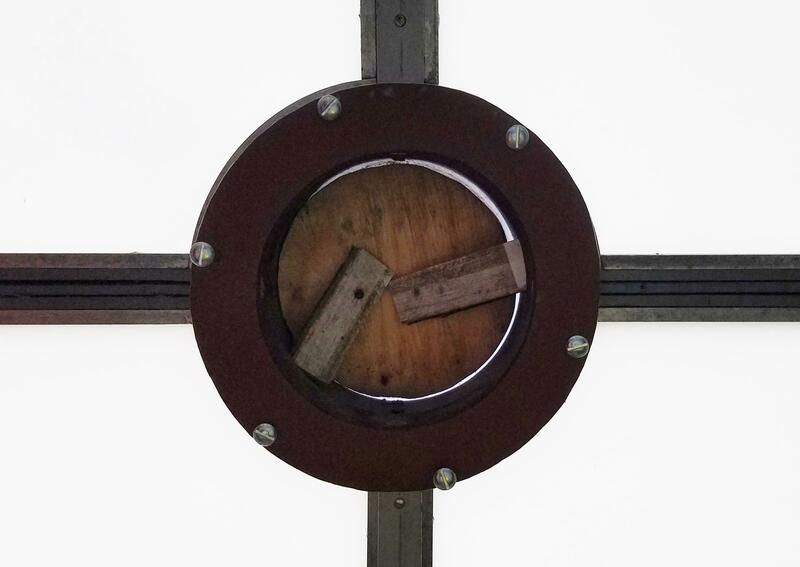 This "before" image shows how the clock mechanism will look when it is installed behind the clock face.